Introduced last month, LinkedIn’s redesigned profiles are centered around simplicity — whether that be in building relationships, accessing insights, or editing your information. With the latest update, it seems the company is sticking to its word. Today LinkedIn has made it easier for professionals to edit their profiles on the go, one of the most requested features for its mobile apps. Previously, any changes had to be made through LinkedIn on the web. This meant that important updates, such as promotions, had to be saved for later. 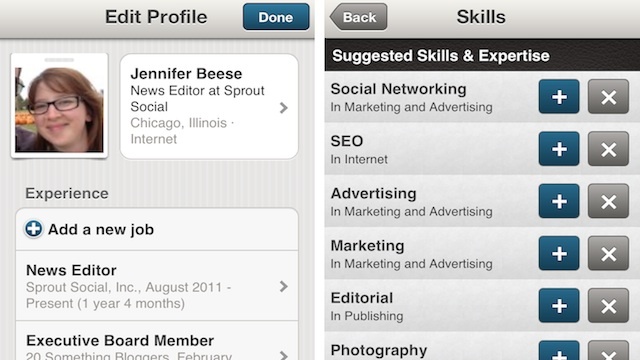 Now you can edit your profile’s headline, add recent skills, or update your experience all from your mobile device. iPhone and Android users can even snap a new profile picture and upload it right away. 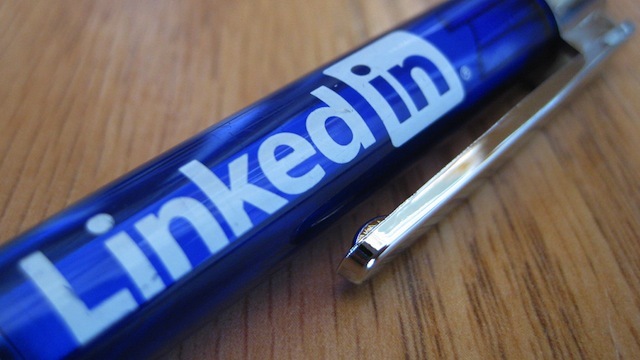 According to LinkedIn, profiles with images are seven times more likely to be viewed. Getting started is simple. Just download the new version of LinkedIn for iPhone or Android (iPad doesn’t appear to be supported yet), login, and tap on Edit. The new feature is available in all supported languages, including English, Chinese, French, German, Indonesian, Italian, Japanese, Korean, Malay, Portuguese, Spanish, and Swedish.